Please Note: The suction cup will not hold up cameras weighing more than 10 ounces ! Check your cameras specification to learn its weight. 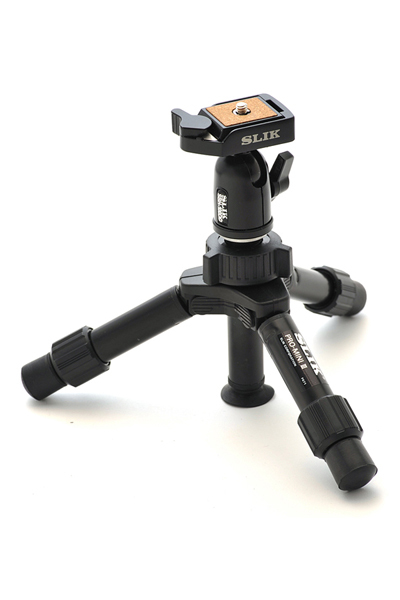 Be sure the surface is clean before trying to adhere and SLIK MINI series tripods to any glass surfaces! Do not leave the SLIK MINI stuck to any glass surface for more than 60 seconds because the weight of the camera could cause it to fall.